No I’m not getting married, I’m talking about the big kitchen reno of course. For most of us, it only happens once, so you want get it right and it can all be a little bit daunting. When it comes to budget, this is where it gets serious, but if you’re willing to take matters into your own hands you could half your costs, no special skills required. Us? 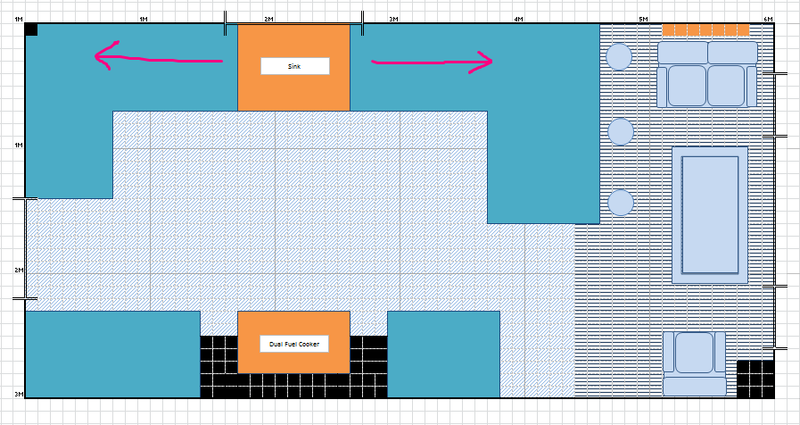 Design our own kitchen? Pah! We were first introduced to the ludicrous notion of a ‘Do It Yourself’ kitchen by one of those DIY friends that thinks to themselves over morning coffee ‘…this room could do with some storage’ and by lunch time there are alcove units complete with shelves, beading and undercoat. 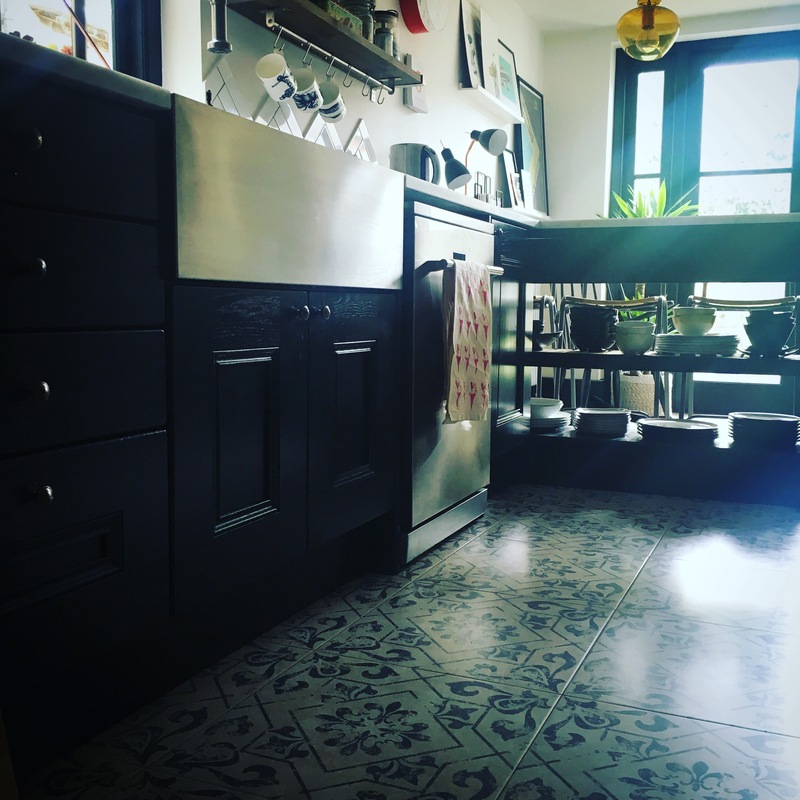 We are not those people, so whilst we were oOooo’ing and ahhh’ing with wide eyes at their finished kitchen, we were under no illusion that we’d be able to pull it off ourselves and started looking into quotes for a packaged service. Our exhaustive search of options available in the UK can be summarised in two words; ‘Stupid’ and ‘Poor’ – that is prices are Stupid and options are Poor and if we kept going down this route, we were going to be Stupidly Poor. Prices were insane and even if we could stomach that, we were rewarded with a style we were just ‘OK’ with, available in our choice of white, cream or off-white. so I couldn’t believe that such a big spend was going to leave us with so little of what we had envisioned. I learnt pretty early on in this process that unless you have an unlimited budget, you’ll undoubtedly need to make compromises, but this was to an extent that just didn’t sit right with me – one chefzilla outburst later and a decision was made; if we’re going to spend the beans, its going to look the way we damn well planned it. 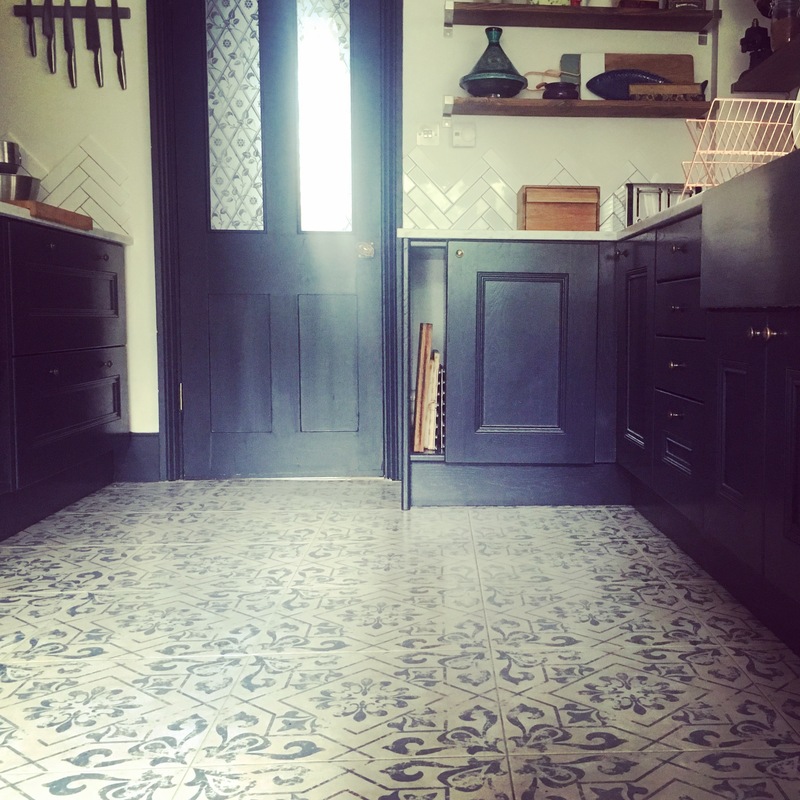 I looked at quite a few ‘supply only’ places online and weighed them up carefully, but bottom line, we chose DIY kitchens for the same reason you’d choose where to get your dress – they had ‘the one’ – we said no compromises right? 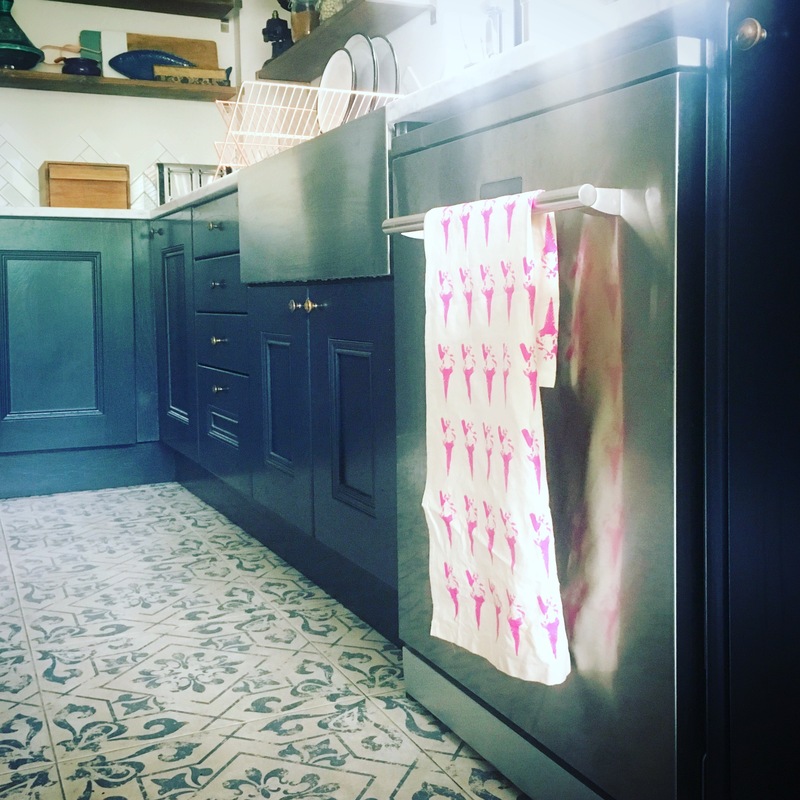 The Eden range had that contemporary shaker style, traditional beading type thing going on that is just thelittlevic’s style – this kitchen was made for her. By a distance longer than princess Diana’s train, the best price for any sort of comparable kitchen. The cheapest quote we were given for a packaged service was £6K. Our total spend with DIY kitchens was under £2.5K (+£500 for carpenter). They offer a wide selection of kitchens and finishes to suite all tastes, including a painted range that can be finished in your choice of F&B – it’s not Little Greene, but whatever, I’ll take it. Their units are delivered ready built, glued rigid = no assembly required by your carpenter = minimal fitting costs for you. All units come with solid backs, none of that nasty chip board stuff you get with flat packs. Let’s do this! Now what? So, if you decide you like the sound of those odds, where to start? We’ve found thelittlevic ‘the one’, now it’s time to make sure it’s tailored to perfection. There’s a mind boggling array of options to make sense of; drawerline or highline? doubles or singles? lace or beads? Wait, that last one was wrong. I was suddenly starting to feel like there was now too much choice! …Honestly, there’s no pleasing some people. DIY kitchens offer tons of helpful information on their website and they provide a really helpful kitchen planner pack that you can use to start building your kitchen. 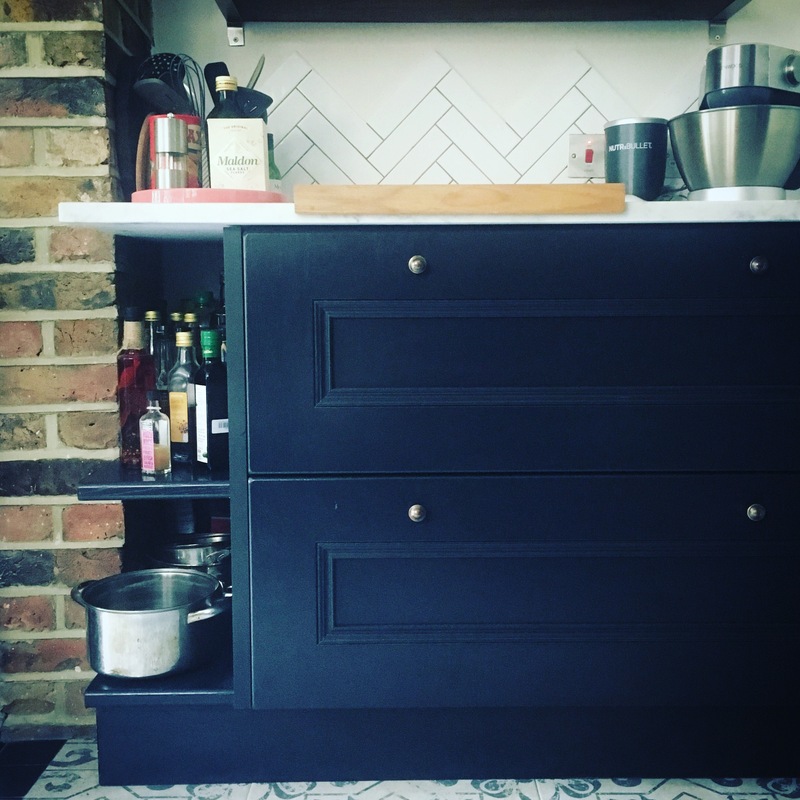 If unlike me you haven’t spent the vast majority of you adult life dreaming up the perfect kitchen, and like me, still have no idea where to start, here’s how to get there quicker than I did. First things first, know what flatters your shape – mine is long and narrow with a low ceiling. We tried on a few different layouts before deciding NO to wall units and YES to a peninsular to balance out our tunnel like proportions and create a square silhouette. Problem areas – We all have them and you need to know what they are to address them. Map out everything you need to accommodate, including doorways, radiators, boilers, lumps and bumps. Measure, re-measure and then measure again – You’re unique and so are your walls, especially if you live in a period property. If you want it to fit like it was made for you, take measurements at three heights and at the front and back of where the unit will sit and then go with the shortest one. Your seamstress…I mean carpenter, will be able to make up any shortfalls with infill sections. Highlight your Best Features – Figure out what these are and then arrange everything else to compliment them. For us, this was our chimney stack, we situated our window directly opposite and centralised our sink below. The 800 mm sink unit then became the starting point for our main run of units with all other cabinets working outwards from there. What are the must haves? – List them out, both appliances and purpose built units. Do you need a waste unit? A fridge freezer? Somewhere to put cutlery? A dishwasher? A pan drawer? These are all obvious items, but making a list will ensure nothing goes missing whilst playing around with the layout. How will it all work together? – Start to think about how you’ll use your kitchen and how your fresh start at a layout will work for you. ‘They’ say you should create a triangle between your cooker, sink and fridge, so you can move round the kitchen easily. 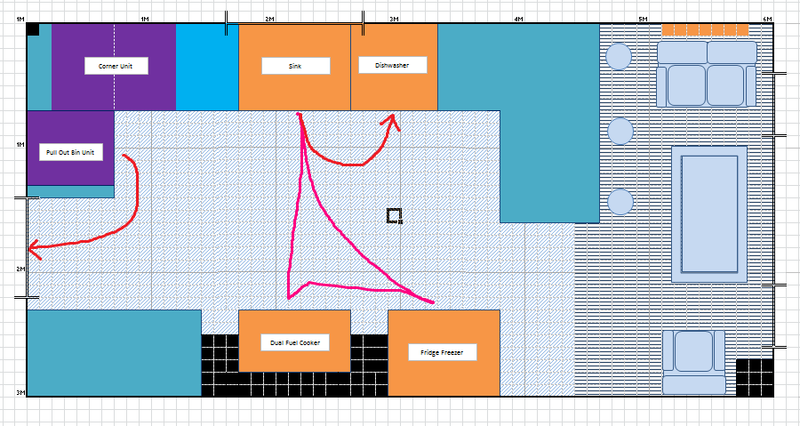 Also consider the placement of your dishwasher and bin and if you’ll use corner units to make use of that dead space. Have you thought of everything? – necessities sorted, time to pick your ‘filler’ units, including pan drawers, cupboards, pull out units etc. Think about exactly what will go in each unit and write it onto your planner. Where will your cutlery go? small electricals? dinnerware? pantry items? Once I did this, I realised we weren’t going to have enough space for unsightlies like tinned tomatoes, microwave rice and tuna, so we sacrificed the veg basket unit for a unit with pull out trays. Get the proportions right – Aesthetically I wanted all of our doors to be of equal size. Once we decided this, we were only looking at 50 cm single units and 100 cm wide units for the main run and could disregard everything else – phew! Watch out for the perpendiculars – you need to make sure that all of your units have clearance from surrounding obstacles to open and close freely. I was so pleased with my measuring skills when I saw everything slotting perfectly into place…that is, until the carpenter pointed out we wouldn’t ever be able to use our pan drawers, because we failed to notice our 1 cm protruding architrave was in the way – poo. Luckily we were able to do some rejigging with our units, but be aware of anything opeing forward like drawers and magic corners. Right angles should use corner posts to ensure the proper clearance. Make sure you’ve got the right support in place – make sure everything stays in place with filler panels. Use them to hold up your worktop between freestanding appliances and end panels to hide the side of your carcass which will likely be in a different finish from your doors. All the trim – Edging tape finishes your exposed edges. You’ll need it for any filler panels you’ve cut down to size with visible edges. Doubles units are cheaper than singles – One double unit equals to two singles in space gained, but not in cost. If you have multiple singles, see if rearranging will allow you to swap out for doubles. Highline units are cheaper than Drawerline – I decided to do this one myself and I think its worked out for the best. Highline units are actually roomier than Drawerline, so if it’s space you’re after this is win win. Inframe kitchens are cheaper than…whatever the opposite of inframe is – O man, what I wouldn’t give for an inframe kitchen…well actually, what I wouldn’t give, is a marble worktop, because weighed up that’s what we chose – a compromise I was comfortable making. Custom is cheaper than standard – Not always the case, but originally the breakfast bar was going to be made from a single and a double unit. By having this knocked up by our carpenter (aside from it being a much better solution for our space, allowing the light to travel freely and not divide the room) we saved £150 . Once your happy with your plans, you can get DIY Kitchens to take a look and sense check, before placing an order. Then sit back, relax and wait for ‘your one’ to arrive, complete with tea and biscuits. Kitchen planners, let’s here it, tips and advice for your fellow ‘DIYers’ please – are you looking for ‘the one’? Would you ‘do it yourself’? Have you done it? What did I miss? I love this! Very clever and witty! I completely agree with everything you’ve said, love DIY Kitchens, love my kitchen it was totally ‘the one’. 1. Drawers are expensive. Think about what you’ll actually use them for and don’t buy more than you need. It’s much cheaper to get 3 big drawers than 5 small ones. 2. If you go for one of DIY Kitchens’ standard colours they do carcasses that match so you’re not limited to white, black or wood effect. 3. DIY Kitchens have a huge range of worktops to choose from that you can only get if you order you’re kitchen from them. They are amazing value so decide what worktop you’re after before you order. Our really thick solid worktop cost us £200 for the whole kitchen! 4. They occasionally do 10% off deals so if you’re on a really tight budget watch out for that and make your money stretch further! Amazing Emma! I’m so glad that ‘supply only’ kitchens exist, it doesn’t seem fair that we should have to compromise so much when clearly the material cost is nowhere near what the end customer gets charged. DIY Kitchens are great and we definitely weren’t disappointed, so fingers crossed you have the same experience! My one issue that I did have, was getting additional items that we missed from our order. I think it’s difficult for them to do this as each order is custom made and scheduled in production, but from the customer side it’s difficult when you have fitters waiting around for additional pieces. My advice would be to try as much as possible not to miss anything and not cut it too fine on lengths you’ll need for things like kick-boards and filler panels. Other than that you should be good! So exciting that you’re on the verge of a new Kitchen! Would love to see a pic when it is done! Hi Claire, so glad you found it useful. 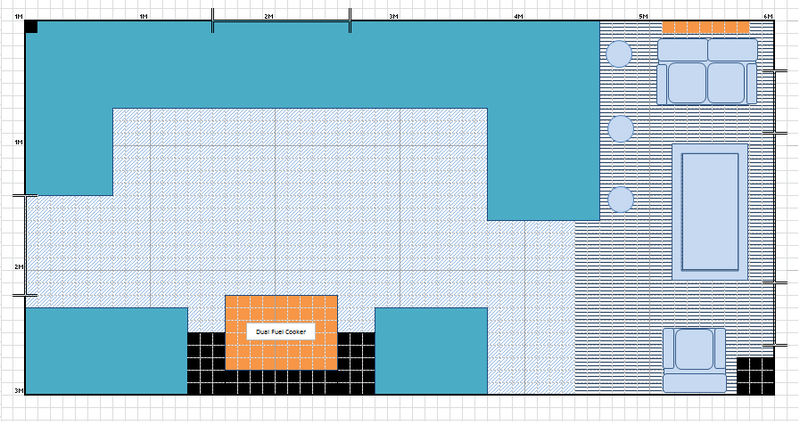 It really just depends on if you want / need to put in the additional effort involved in design and measuring your own kitchen. If you find something your happy with in your budget, I’m sure it certainly is a lot less hassle getting the end to end service! Yep – open shelving really does restrict what you can put up there – I don’t want anyone to know I use microwave rice for instance! It was a good shout for us, because we have a really low ceiling and the kitchen is narrow, so it was going to feel too much like a tunnel taking out that extra wall space and our DIY shelves were also a lot cheaper than units! If you have a high ceiling and square layout, sounds like you don’t have that to contend with and the extra storage will be huge bonus! What a great blog- and great advice! We’re currently in the process of buying our first home, a 1911 terrace, and it needs a complete overhaul. The kitchen is going to be the biggest challenge and the costs we’ve been looking at are insane. We’re on a tight budget, but the last thing I want to do is pay through the roof for particleboard. I found DIY Kitchens through several posts on Instagram and they look amazing, but the idea of designing and measuring ourselves is pretty daunting. Your post has offered fantastic insight into the process/costs and it’s reassuring to know that it can be done, even if we’re not the ‘knocking up alcove units before lunch’ types. I think we’ll be paying the showroom a visit very soon. Cheers! Hi Emma, Yes – it definitely can be done! 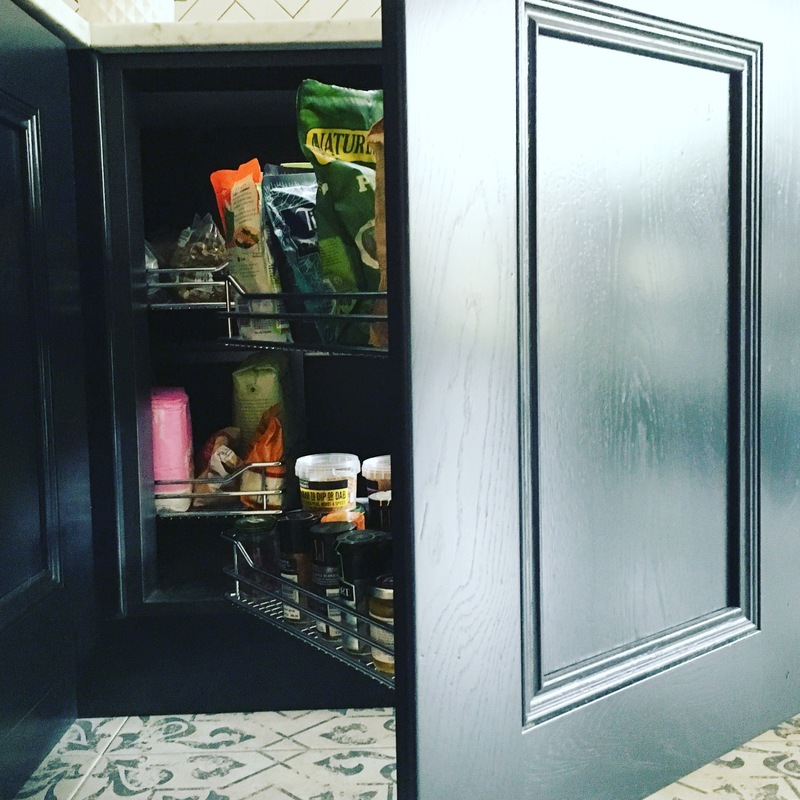 I honestly had no clue what I was doing and kept remeasuring and remeasuring over and over in a panic, but it worked out so well in the end – we definitely couldn’t have achieved this look with a ‘packaged kitchen’ due to the cost. I didn’t go in and visit them, but I hear this is a really good thing to do as they give you lots of help and advice and you can see all the kitchens in the flesh! Just let me know if you need any help once you get going! Can I ask what style and colour you went for? We’re ordering our kitchen as we speak! And the corner units, which style did you go for? Hi Sophie, We got the Eden Kitchen by Second Nature from the DIY Kitchens Bespoke Painted Range. I don’t think they stock it anymore, but there looks to be some very similar ones on there. We went for the ‘Wide Highline Magic Corner Base’ as we were only getting one, we decided to go for the most expensive one I think! I’ve added a picture in the post above so you can see! What a great post! I’m nowhere near even thinking about a new kitchen but like to indulge in a bit of day dreaming. I love how much detail you went into and the saving really is amazing. Your carpenter sounds great too…I need to find a new one as I’m sure we paid just as much for a couple of doors and skirting!